English too, but the foreign language books are harder to find I suppose. 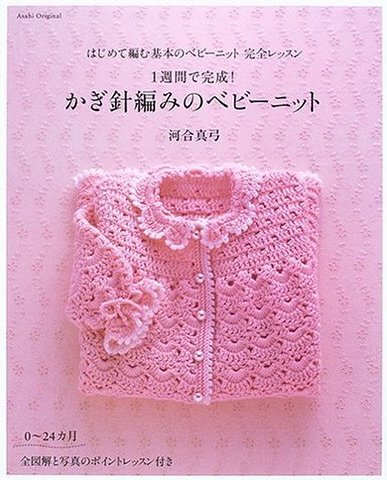 I'd been wanting to get the Pineapple Lace Stitch Doily book by Nihon Vogue too, so I bought one Japanese crochet book and 2 Spanish booklets- Muestras y Motivas Especial Puntillas 5 originales y clásicas, and Especial Paños No. 12. This Puntillas 5 one is all borders, so hopefully I can use this one to get away with not crocheting an entire thread tablecloth for my mom. Then this Paños No. 12 looks like it's mainly doilies. Its funny because I think they're really pretty, but never get around to making them. Eventually, I guess. I'll try to remember to report back when I get them, and their ease of use, etc. By the way, there's an interesting selection of yarns & threads to try too, but I really have to get through more of my stash before buying more! Really, I shortened that title. So my poor MacBook has had it's share of troubles and each time I take it in the guys at the Genius bar keep telling me what an anomaly it is that it's having the issues that it's having. Thanks to it though, I've become a back up fanatic so I do have all my old files, but I've also had to send it away for a week. The sort of good (and unfortunately expensive) news is that I've gotten a new computer for my Christmas/every other imaginable gifting holiday of 2009 gift. It's pretty dreamy, but I still don't have any of my files on it yet so I'm figuring it all out and getting Christmas gifts ready. Another convinient thing is that my husband'll just use the older computer for his school work and watching ESPN online. I don't know how much posting I'll be able to get done in the next 10-ish days since we're still dealing with sucky lingering illnesses, leaving for Iowa on Friday & general Christmas busyness. I do hope that while we're gone I can get some felt food made for my little one's gifts. Who knows. I bought some really neat fruit and vegetable patterns last month from Umecrafts, and a birthday book that I ordered from YesAsia came recently- Cute Felt Fruit & Vegetables, or kawaii yasai to furu tsu ga itsupai ha to uo mingu raifu shiri zu Heart Warming Life 67530 93. Hopefully this works, but here's the link to an ActionBrowser of the book where you can click through and see 20 pages of it :) Also, a tip, if you order it from YesAsia it's $15.49 and qualifies for free shipping on combined orders of $39 or more as opposed to the $25-35 that I've seen it for on certain auction sites. 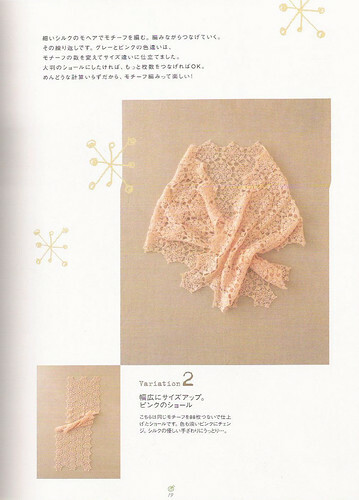 Also, for reference for me :) you can go to the Nihon Vogue site scroll down to the Biblo section and click on the images of books with different crafts (I'm pretty sure this is the crochet books section) to see the books in that genre and get the 13 digit ISBN's. The 13 digit ISBN isn't searchable on YesAsia but is on Amazon.co.jp where you can cross reference the book and get both the 13 and 10 digit ISBN's for easier purchasing on YesAsia. Here's a potholder that I finally was able to get to. 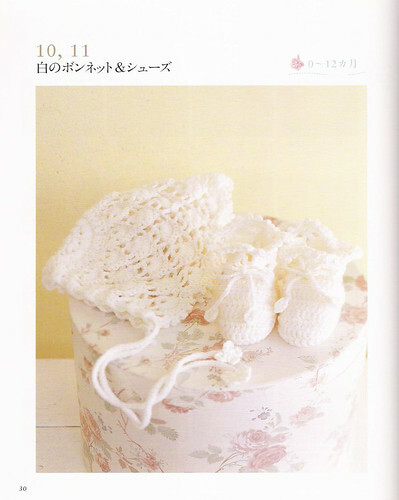 It's from a book that I bought last summer that I wrote about called Japanese Potholders Heart Warming Life Series. We'll be spending the weekend at my aunt's and she'd said a while back that she thought that the potholders were cute, so I'm trying to make a couple of different ones for her before we go. 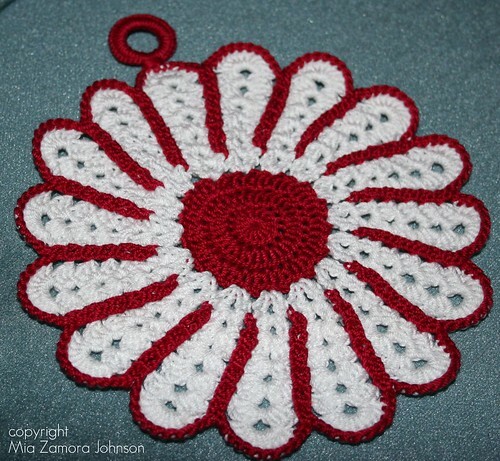 I really wanted to try out this flower one first, and I like how quickly I was able to get it done, I worked on it last night while we watched Be Kind, Rewind and almost finished the whole thing, this morning all I had to do was finish up a third of the red border & crochet around the ring. Neat! Well how's that for a long title? 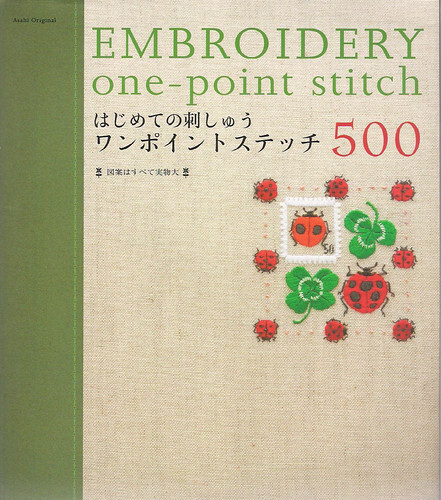 So I have a couple of embroidery books that I've listed. I'm finding out that while they're lovely and full of inspiration, I don't necessarily want to make anything from them. I'm coming to the realization that I much prefer coming up with my own little drawings, especially since most of what I make is for my little ones anyway. I just think the bug embroidery is "bee"youtiful! Can you tell I'm tired? I do think it's lovely though. And I'm nowhere near close to a bug fan in the first place. If you'd like, you can click on the images to get to the photos at flickr and really see the detail nice and big. 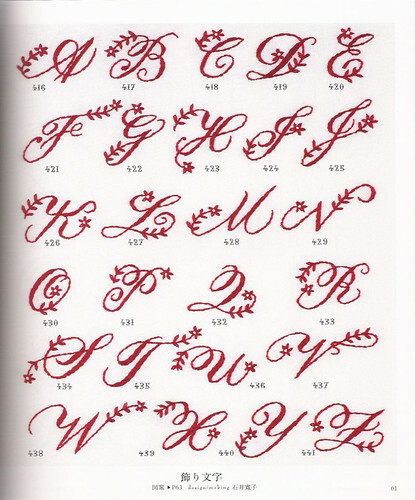 I really like this one, of course I don't really have a book that I don't like because I usually am the only one doing the buying :) How pretty is this redwork alphabet, I'm silly about liking fonts based on the M's, but I really like this one, the Z is really nice too. Below is an example of what the actual pattern looks like, these are some pretty fun borders. Anyway, I"m off to bed, we have a busy day with my little guy deciding if he's ready for vacation bible school! So it's silly for me to be up this late, but I wanted to get these uploaded before tomorrow morning, or this morning actually. Anyway, I'll try to get images from books up individually, but for now, if you want to see the rest of the books that I'm listing at noon PST, you can check out my recent uploads over at Flickr. Okay, so we ended up house sitting my parents home this weekend and I haven't been home at all to scan the rest of the books. I'm going to try to finish that up tonight so that I can list them all tomorrow, let's say noon PST is when I'll be listing the books. Also, this weekend, I've been drawing a bunch of little kids to embroider on a Christmas gift for my own two little ones. It's never to early to start, at least for me it isn't since I'm so horrible about doing things last minute. I think the embroidery bug also is a tad seasonal with me- I'm finding that I prefer working with lighter weight/cooler projects since it's become so hot. I'm also doing a custom order for 2 little dolls made of thread to be a wedding cake topper- that should be interesting. I'm still waiting on the thread to come in the mail, I couldn't find it in the colors that I needed anywhere. Otherwise, we've have a very busy family weekend, enjoying friends and plenty of time spent playing & eating outdoors. 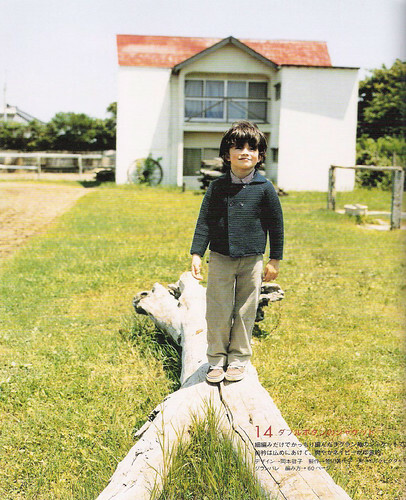 Okay, this one is one of my favorites. 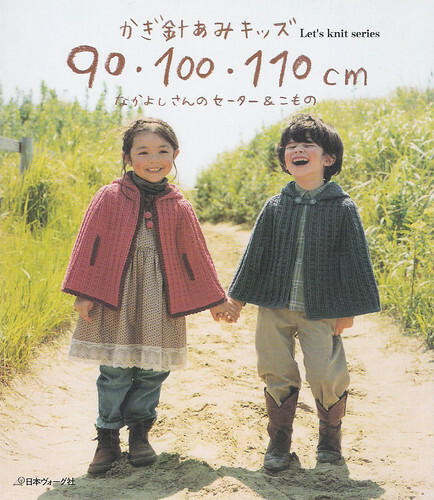 For some reason it's part of the Let's Knit Series, but it's all crochet patterns for sweet little kids. 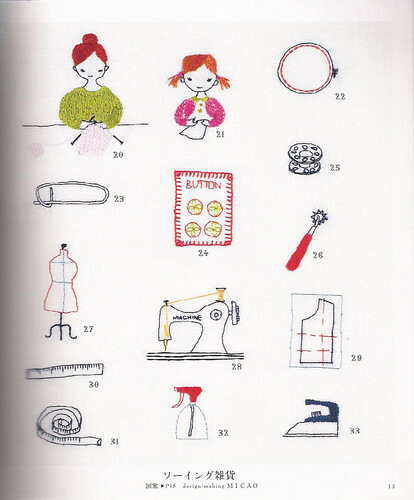 How can you not want to make everything in this book! 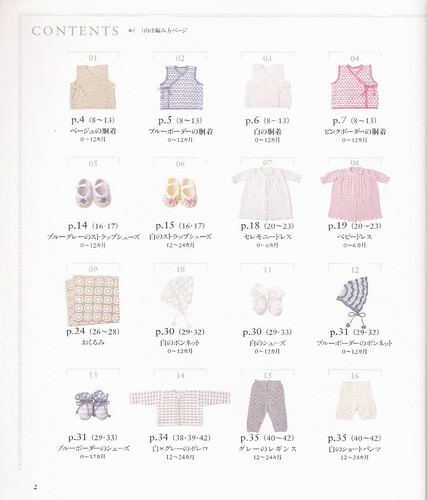 The little kiddies in this book are so sweet and endearing, I especially like the patterns for the boys, that's actually why I bought this book to begin with. 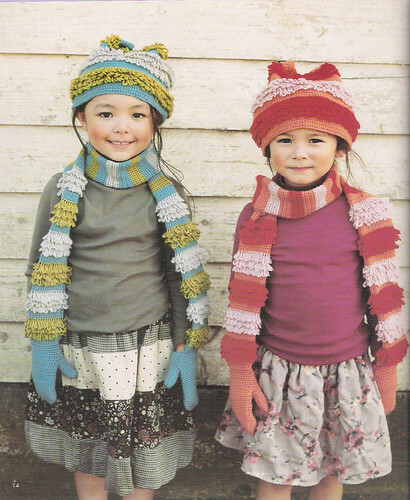 How cute are these little girls! 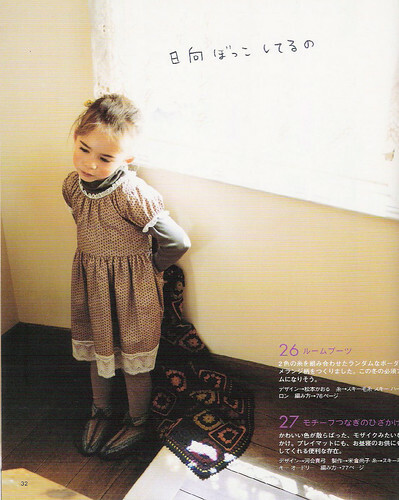 The blanket and slipper patterns are included. 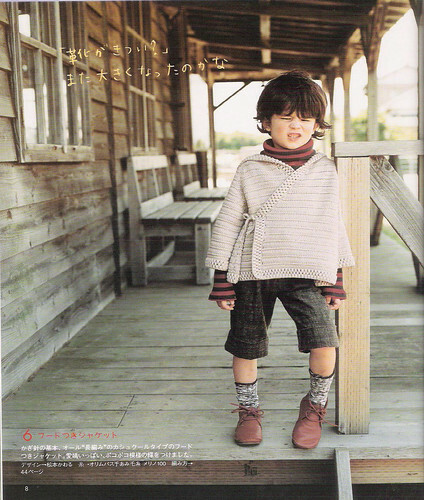 These little boy patterns are SO endearing. 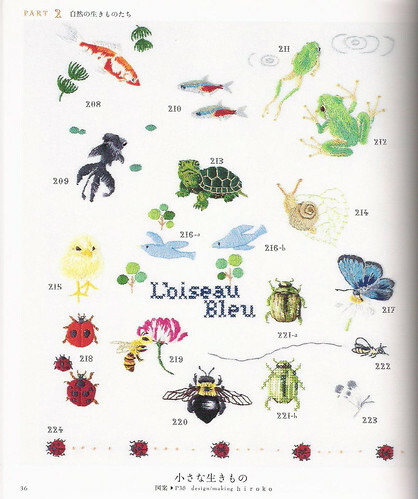 I know it's about the patterns, but aren't these images adorable? I seriously wish I had time to make these all, they are so cute. Dang it. 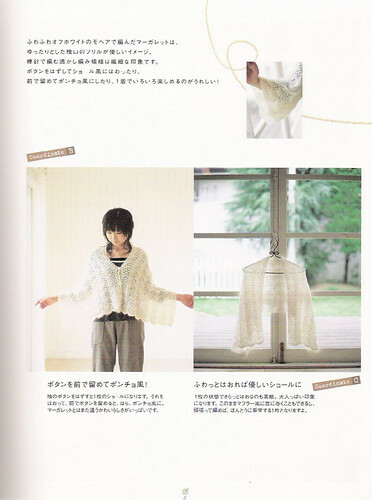 But I know that whoever ends up with this will make more clothes from the patterns than I would! 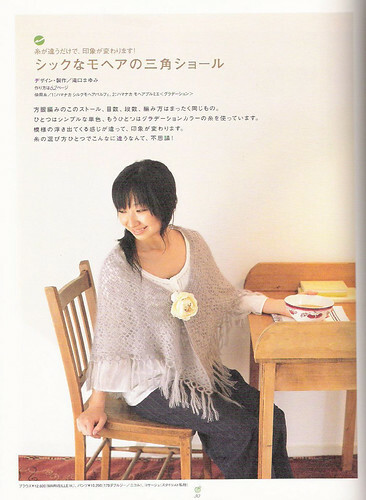 This first pattern shown is a knitting pattern. 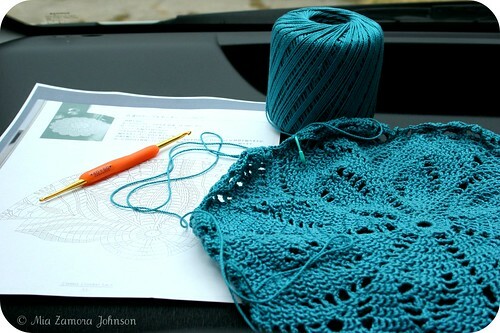 All the yarn used in these projects seems so light and airy, they drape so beautifully. 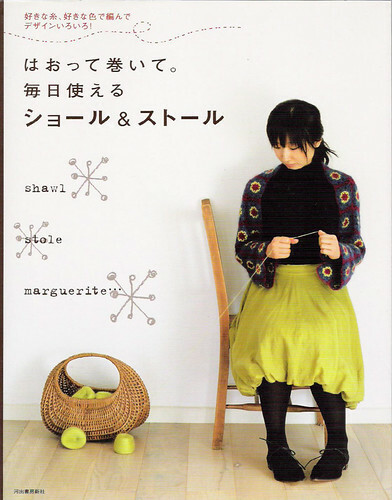 I wish I had occasion to make and wear some of the things in this book. I always think that I have so much more time to make things like this than I actually do. I suppose that when my little ones get older I can get around to spending time making beautiful things regularly, but for now I guess it's all going to have to be eye candy for me. 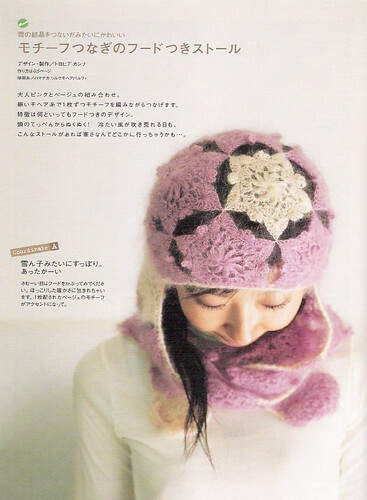 This is one that I bought to make the pretty coat on the front cover, but then ended up never getting to it in time. Now my little girl is too big, and the only thing I ever sort of made was the little capelet for my niece, and then ended up majorly modifying the pattern to only include the lacy part of the pattern. Don't you love the aesthetic of these books, they're all so pretty. 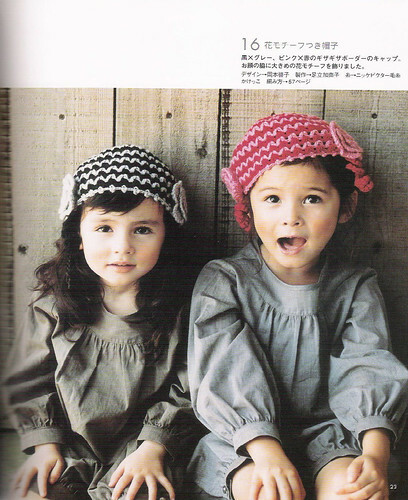 The patterns are for boys and girls, and seem like they'd be fairly quick to make. 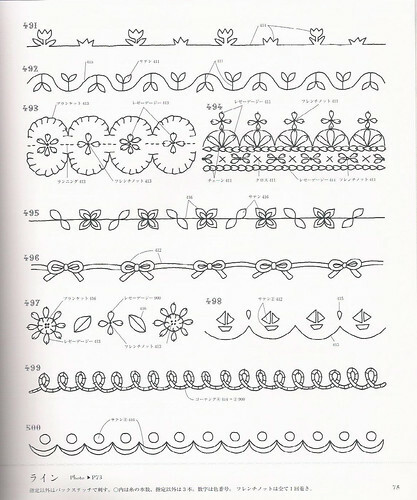 I think the charts help out so much with all of these books, they make the patterns so simple to understand.